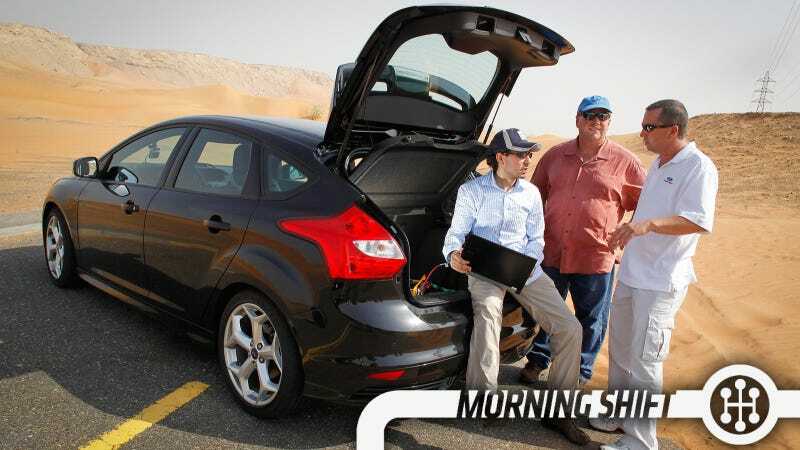 1st Gear: Larry Kummer Isn't A BummerWe're leading off with a lot of Karl Henkel stories lately, but they've been enjoyable so here's another one and I'll start with a question: How do you make a Ford Focus sold in California and built in Detroit feel like a Ford Focus built in Changhan and sold in Malaysia? That's the job of Larry Kummer, who drives everything everywhere and makes sure it has all the DNA of a modern Ford. Kummer's official title is manager of vehicle integration, and to him it is "the coolest job in product development." But he's a sort of doctor of Ford's DNA. He and his global team test vehicles on a variety of points, including driving dynamics, performance feel, seat comfort, powertrain sound and steering wheel feel and operation. "Ford has been more vocal in the last few years about continuity between models both globally and locally," said Karl Brauer, an analyst at Kelley Blue Book. "It's smart. Mercedes has had something similar for years, and I think Ford has realized that if you can have positive traits across your lineup, they can execute a long-term sales plan." 2nd Gear: Mulally For Head Of The VA? Speaking of Ford, Mark Phelan over at the Freep makes an interesting point about what Alan Mulally should do. No, it's not to run Microsoft, it's to lead an organization even more confused and disliked: Veterans Affairs. "A turnaround expert with a record of changing a dysfunctional culture? That's pretty close to the job description the White House has in mind for someone to head the VA," USA TODAY Washington Bureau chief Susan Page said when asked about Mulally. "The problem is not only running a massive bureaucracy. It's also injecting a sense of urgency and a willingness to try new ways of doing things." The VA suffers from low morale, outdated technology and a management style that seems more focused on hiding problems than fixing them. Why not? Who can say no to that sweater vest? Remember when we told you about that airbag problem? A source tells Reuters that we've juuuuust started. Honda Motor Co expects to recall vehicles with potentially defective air bags, a move that could expand a massive, multi-company air-bag recall by more than a million, according to a person with knowledge of the matter. The recall involves faulty air-bag inflators supplied by Takata Corp and would follow a similar move this week by Toyota Motor Corp. The Honda recall should be announced by the end of June, according to the person, who declined to be identified. In an effort to burn through whatever good will they may have left, GM is using its Chapter 11 bankruptcy as a shield to protect itself from lawsuits that occurred before they entered Chapter 11. How? GM isn't the same old GM, it's a "new GM" that shed the skin, costs, and debt of the old company. I'd argue that basically no one thought of that when they voted for, approved of, or generally nodded in the direction of the bailout. Whether GM gets stuck with a tab for those liabilities, which could run into the billions of dollars, is now largely in the hands of U.S. Bankruptcy Judge Robert Gerber in Manhattan. Bankruptcy experts say Judge Gerber could be faced with a tough decision. GM's argument—that it is unfair to make the company pay for liabilities it expressly gave up five years ago—holds appeal, said David Skeel, a bankruptcy expert and law professor at the University of Pennsylvania. "The point of corporate bankruptcy is to bring all the stakeholders into one place, resolve the problems and start over," he said. "When you allow multiple bites at the apple," he added, the bankruptcy process "falls apart." And apparently the complaints started a a while ago, with at least two for April 2013. Maybe someone at GM should go through the entire TSB database to see what all their complaints are and just recall everything, which maybe they're doing? Spokesman Alan Adler said that GM became aware of the Camaro issue through internal testing and then did a "sweep" of complaints to GM and others. Asked about the consumer complaints, Adler responded, "We were not tracking complaints for Camaros. Once we look at them, they need to be studied to determine if they are related to a certain cause. That is why we have listed the crashes and injuries in today's release as inconclusive. We know there were no air bag deployments. We are not certain whether this was related to the 'knee bump' issue or not." Reverse: Where's The 111-Year Edition Focus? I like it, but would he do it?